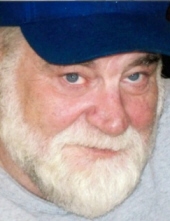 Louis L. Moyer, 69, of Decatur, IL, succumbed to cancer at DMH in the company of his family on January 24, 2019. Louis is survived by his sisters Sandra Hilton, Kay Campbell Hay, brother Scott Moyer, all of Decatur, IL; sons, Monty Moyer of Blue Mound, IL, James Moyer of Macon IL, and Joseph Moyer of Green Cove Springs, FL, and 7 grandchildren. He was preceded in death by his parents, Charles and Pearl Moyer, sister Joan Harmon, and brother Jack Cunningham, all of Decatur, IL. He had a long career at Mueller Co, and was forced into retirement by his illness. To send flowers or a remembrance gift to the family of Louis L. Moyer, please visit our Tribute Store. "Email Address" would like to share the life celebration of Louis L. Moyer. Click on the "link" to go to share a favorite memory or leave a condolence message for the family.